Today was the last day of our annual festa in Castel Rigone. 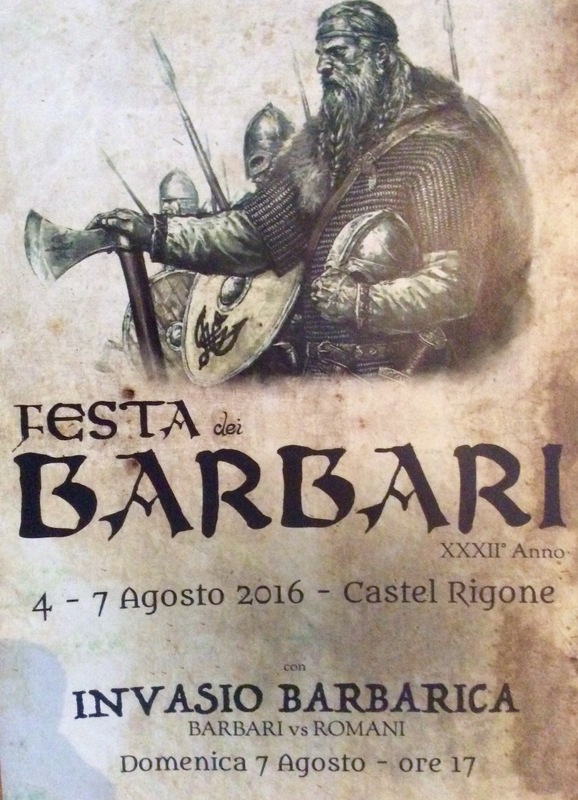 Festa dei Barbari. We enjoy all the festivals but this is our favourite. It’s not just because Jumble House is in Castel Rigone. It’s because it is so much FUN especially on the Sunday when the events start at 5’o clock. For four days there is a market which winds its way through the quaint little streets and every evening feasting in the piazza with music, jousting and entertainment. There’s lots of great things to buy but also you can have a go at archery and see how weapons were made. On the last day (always the first Sunday in August) there is this great costume parade through the village, right past Jumble House! 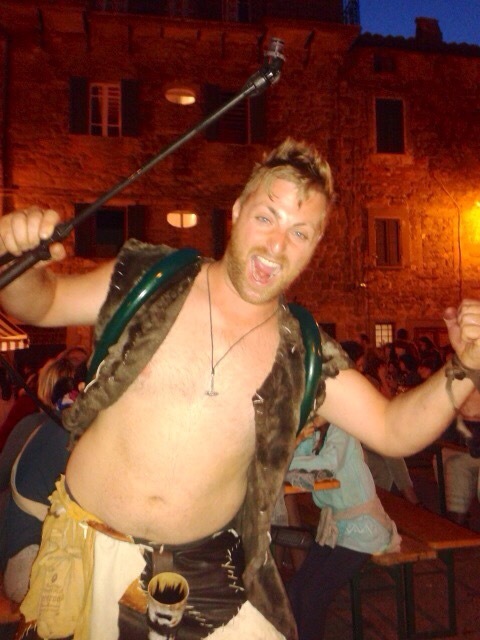 This is followed by the ‘palio’ or challenge which does change. Then followers the feasting, really weird music, fun jousting and fire-eaters and lots of other things. We really enjoy the food and it’s always fun watching the wine being pumped out of these things that look like giant weed killers! Why do we have this festival? Well, a very long time ago the village was attacked by the barbarians (the Ostogoths). The lieutenant was called Riggo. That is where the name of the village come from. 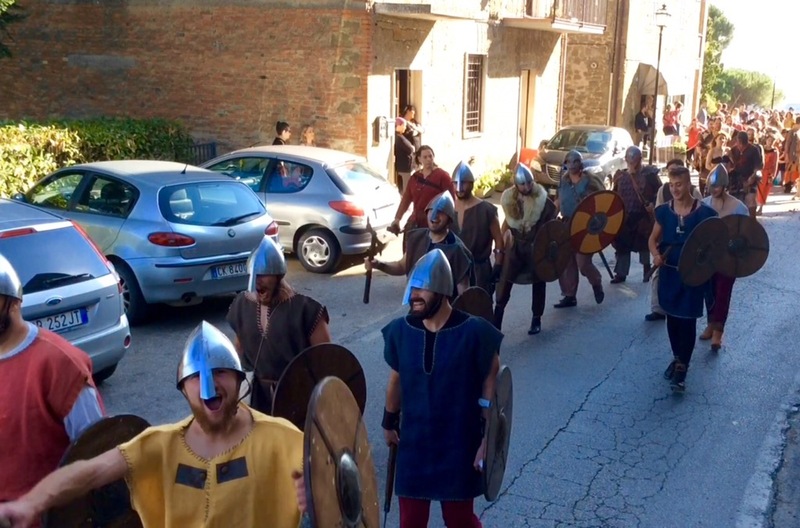 The festa is a re-enactment of the barbarian invasion and it’s great fun! 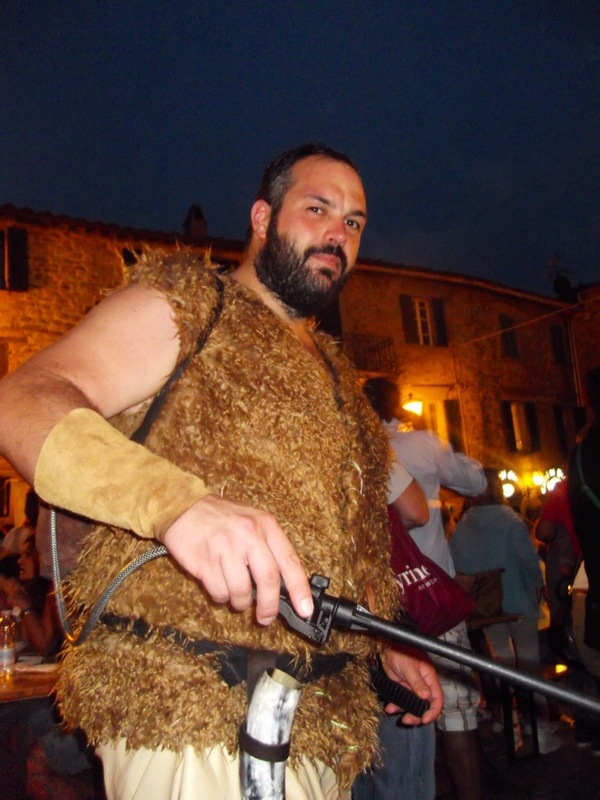 We hope you will enjoy this video of the procession: Festa dei Barbari. Castel Rigone.